Leading Manufacturer of hologram label roll, hologram strip, hologram sticker certification purposes and hologram stickers from Ghaziabad. 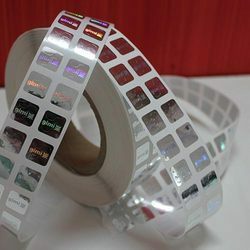 We are a supplier of Hologram Label Roll. Our hologram displays all the seven colors of light which change when viewed from different angles. We are supplier of Hologram Stripe, that is used as lidding foil to make blister packs and tablet strip packs. 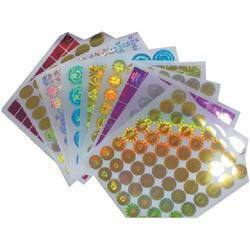 We are offering wide range of Hologram Sticker for Certification Purposes. We are supplier and manufacturer of Hologram Stickers. 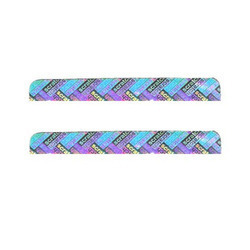 Our hologram tape, holographic seals, grand seal holograms are available in various shape and sizes.